Home / Interviews / Articles / Miami has a new artist, but he is not human! Miami has a new artist, but he is not human! Miami has a new artist, but he is not human. 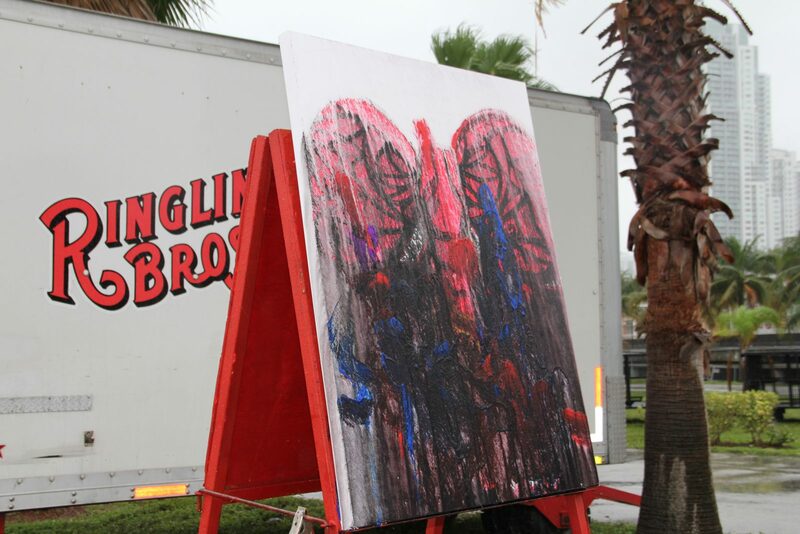 Local artist Alex Mijares painted a canvas with one of Ringling’s talented elephants at the American Airlines Arena, 601 Biscayne Blvd, Miami, FL 33132. The two collaborated on an art piece, which will be displayed at the Arena and later donated to a charity of Mijares’ choice. 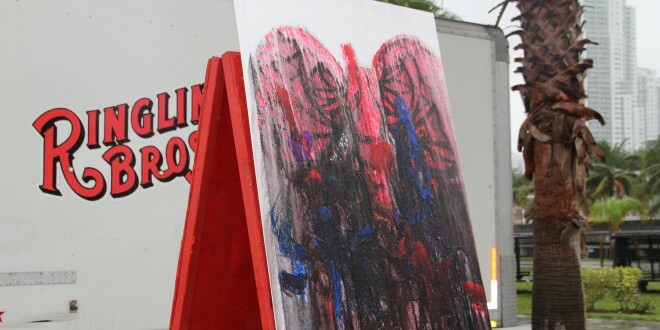 Mijares had a very successful gallery opening during Art Basel and has done tons of pieces and partnerships throughout Miami such as car washes, the iconic duck at the SLS Hotel, etc. 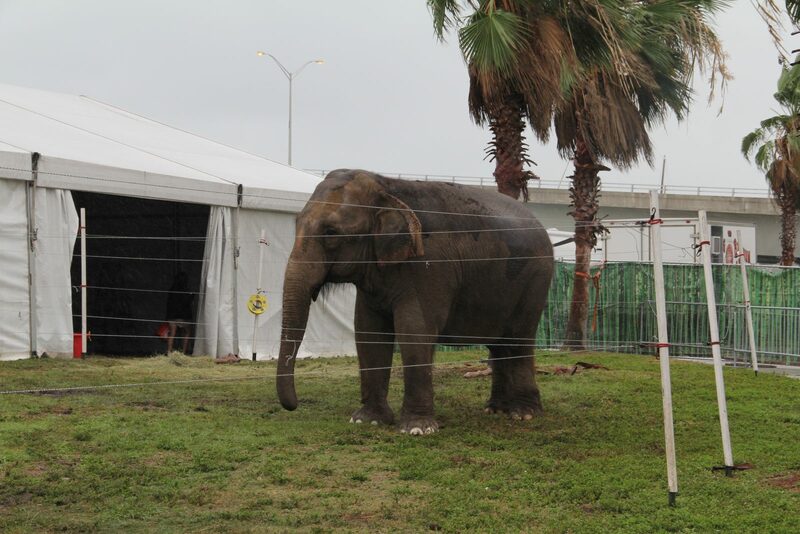 Ringling Bros B&B Circus is in town from Jan. 9 to Jan. 20 at the American Airlines Arena. 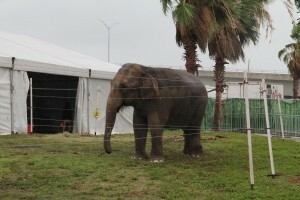 For ticket information visit http://www.ringling.com.